Churches and other places of worship make up the cultural centerpiece of much of the Quad Cities. 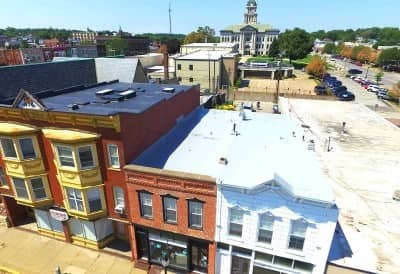 As active members of this community, we take pride in being the go-to roofers for these buildings. Preserving historical houses of worship, as well as sturdily building the modern ones, is crucial for their mission to serve their cities. Yet if they take the the time to close for roof repair, they’re unable to fulfill that service goal. Over the years, many of these beautiful pillars of our community begin to fall apart. Leaky roofs are not conducive to maintaining a congregation. One of the services we offer that is often used by churches in our community is retrofitting. 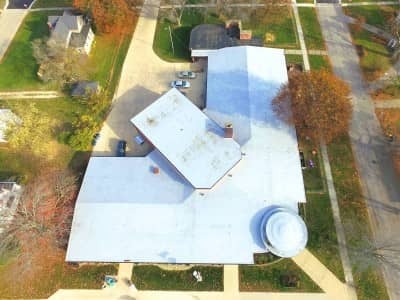 The installation of a brand-new roof can often be too expensive and time consuming for a church. 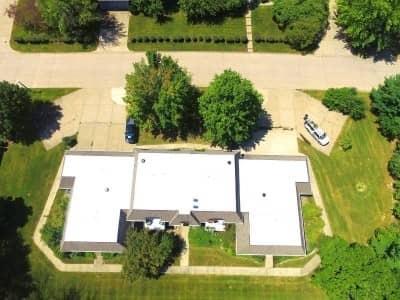 With the custom technology of Duro-Last, we can often turn your existing roof into an energy efficient, durable masterpiece. Using this technique, we’ve been able to take buildings with outdated, leaky metal roofs and turn them in Class 4 hail rated structures. 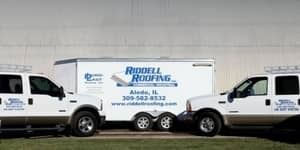 Combine that with the added efficiency of a properly functional roof, and it’s clear why so many turn to Riddell Roofing. Duro-Last is synonymous with quality. They’re legendary PVC roofing is known as “The World’s Best Roof,” and they don’t take that title lightly. They prefabricate your roof off-site in segments. Not only does this mean they can tightly control the quality, but it also means the job gets done faster. 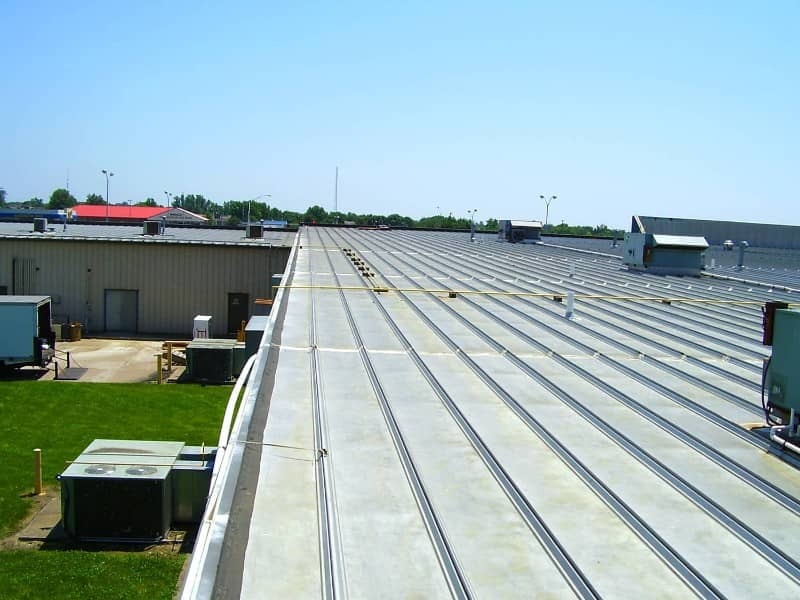 With Calvary Church, we were able to to retrofit their aging metal roof with Duro-Last. Now, their building holds a Class 4 Hail Rating. Most of the contractors in the Quad Cities and surrounding area are not approved by Duro-Last. At Riddell Roofing, we went so far as to become Master Elite Contractors under the brand. Not only do we meet the high standards of the Duro-Last name, but we exceed them. If you’re already set on the World’s Best Roof, why would you settle for anything less than Riddell Roofing? For over three decades, we’ve served the religious communities of the Quad Cities and surrounding area with pride. We’ve been honored to have these people as our customers, and have them be a part of our history of excellence. Riddell Roofing and Duro-Last are here to make the replacement or retrofitting of your current roof a breeze. As a Master Elite Contractor, we then come in with specialized equipment to install your roof quickly and efficiently. Severe weather can result in damage to your roof, so we offer inspections and repairs to make sure it lasts.